"Delitto di paese" is a mostly faithful translation of "L'assassinat" by Georges Brassens, with only a few small changes (notably there's a reference to Baudelaire with De André's change to "flowers of evil," the title of an early volume of poetry by the French writer). 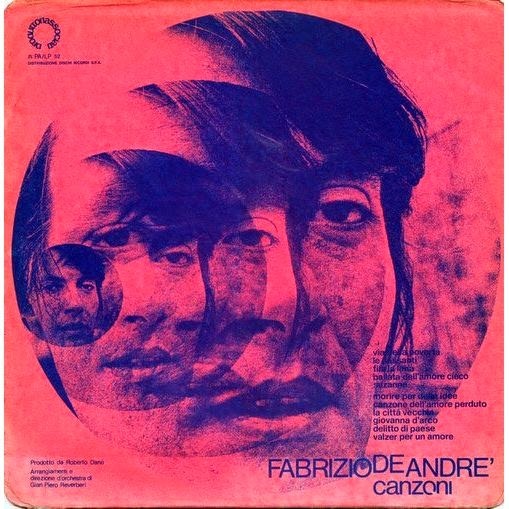 This was the first of many translations De André would do of songs by Brassens, who was a major influence on De André both for his music and for his political and philosophical points of view. Both men considered compassion and forgiveness the most powerful human forces for good, reflected in this song by the killers' admittance to Heaven after they genuinely shed tears of remorse for their crime.